When you first install your windows machine you will find that it it starts off fairly secure, however there are extra steps we suggest taking to improve upon this and stop unauthorized access to your machine. Note: Windows Server 2008 R2 will be reaching it's EOL (End Of Life) on January 1st 2020. We suggest that anyone running this looks to upgrade to Windows 2012 or 2016 before this date. 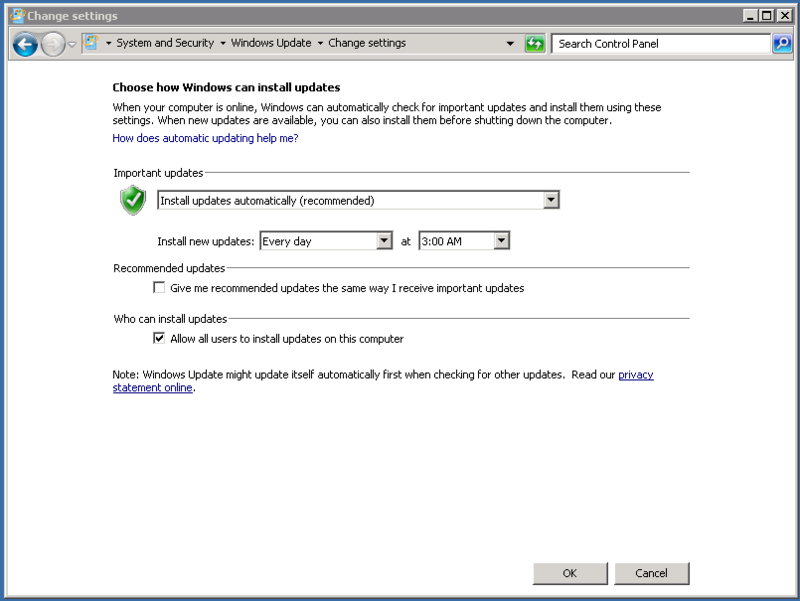 Windows updates are one of the most important and key ways to keep your system secure. As soon as your server has provisioned we strongly suggest that you immediately update your system and enable automatic updates to reduce the chances of your system being susceptible to new and dangerous exploits. 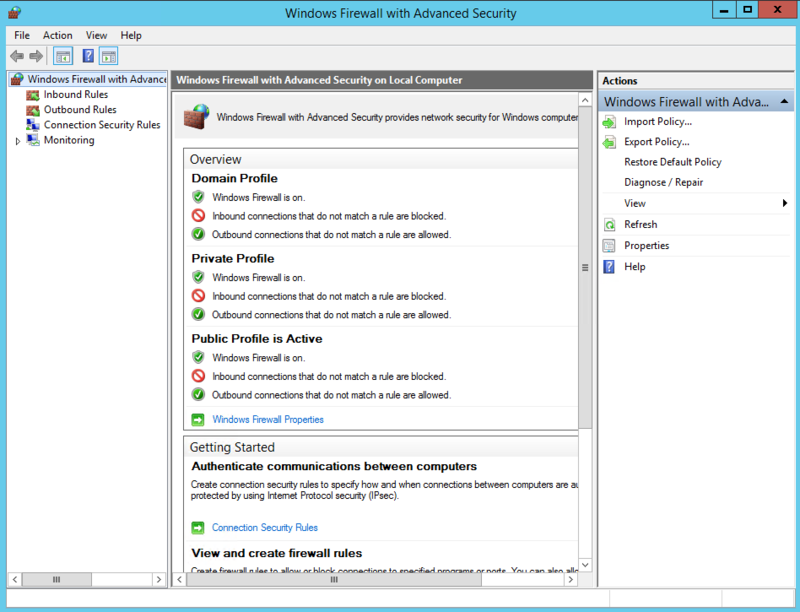 Securing your firewall is one of the best ways to keep your server safe and secure. By default the Firewall will be locked down, with only a few specific ports being open. We suggest that you DO NOT simply disable your firewall and instead add rules to open the ports you specifically require. 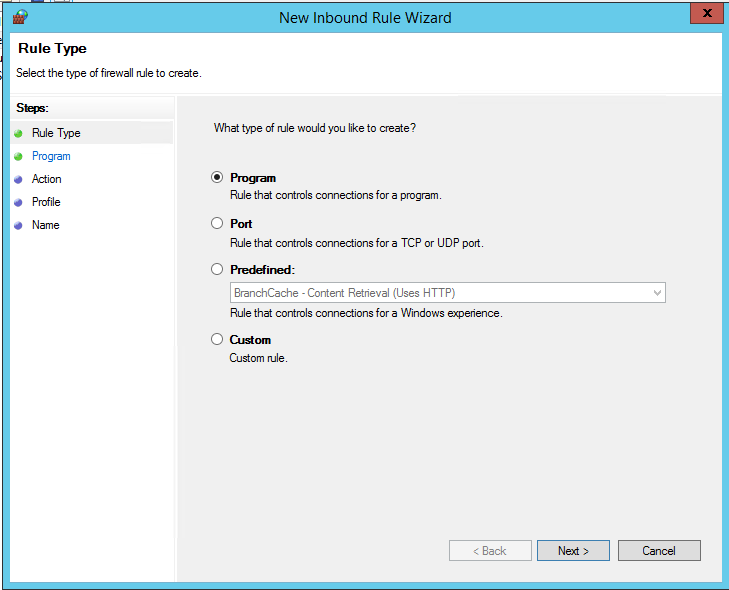 Follow the steps provided by the firewall wizard and make sure to only open the ports you require.